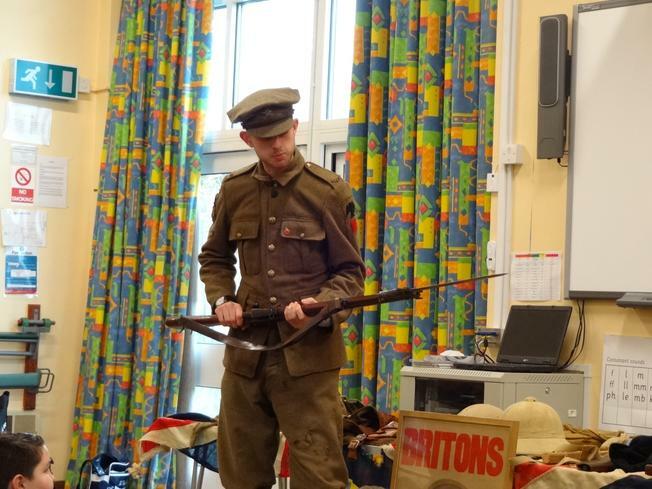 The children in Y5/6 had a special visitor on Thursday who was able to tell them about life in the trenches and pass round some equipment soldiers would have used at that time. 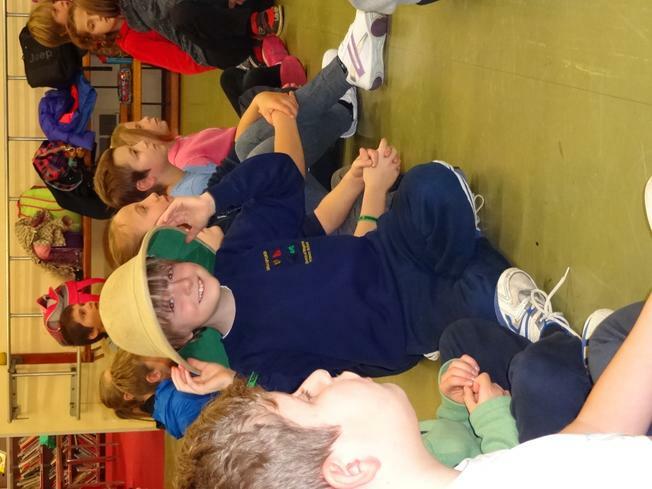 We were able to handle a rifle, a grenade (luckily it wasn't a live one) and a soldier's hat. 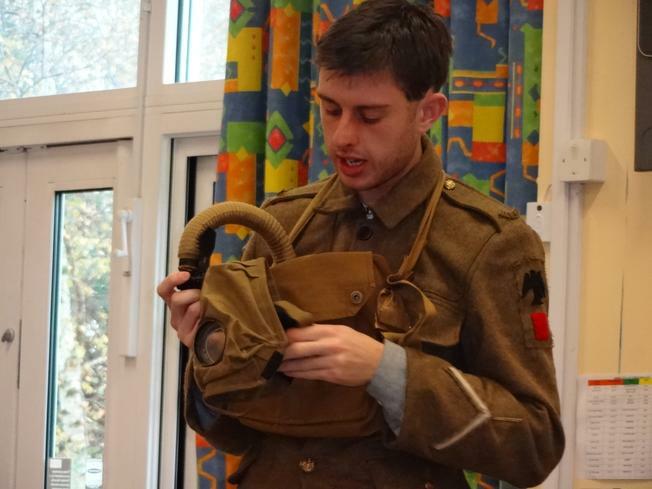 The talk was informative and lively and the children had many good questions to ask after the presentation. 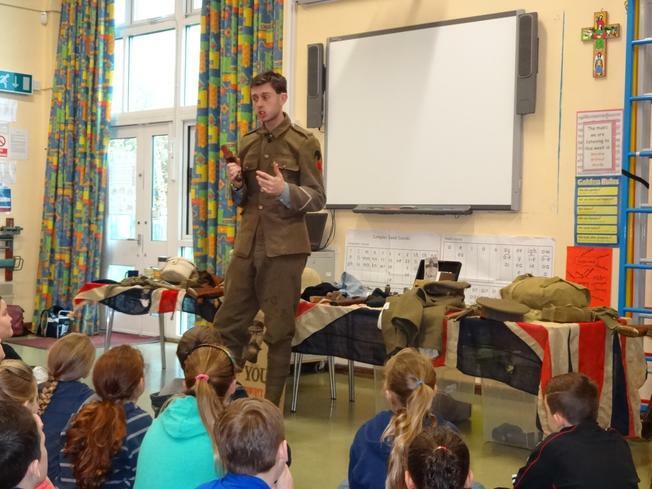 Many thanks to Mrs Crabtree from Burbage Heritage Group for organising the visit.